30 years old and long a mainstay in European consulting, BTS Group has been steadily growing since its inception in 1986. A strategy execution and implementation firm based in Sweden, today the firm counts 59 of the U.S. Fortune 500 and over 30 of the Global Fortune 100 among its clientele. BTS Group specializes in digital technology, leadership development, sales training, and assessments. However, the firm operates in five main practice areas: Assessments, Business Acumen, Leadership Development, Sales Training, and Strategy Execution. BTS was founded in 1986 by Henrik Ekelund with three investors from other leading Scandinavian consulting firms. BTS has acquired seven companies in the last eleven years, expanding their practice areas with every move. In 2005, they acquired Strategic Management Group, Inc; a collection of investment companies with holdings in healthcare and biotech as well as other areas. In 2006, they acquired The Real Learning Company, which specializes in providing models, tools and programs for mapping, developing and managing performance for individuals and teams. In 2006 BTS also acquired Advantage Performance Group, Inc which focuses on business development. In 2013, BTS acquired Wizer A/S, a leadership development group and in 2014, Fenestra Inc an assessment and development company. Most recently, in 2015, BTS acquired AVO Vision, a company that develops tools and curriculum with a focus on communication to help boost performance and team morale. With a constantly expanding field of practice areas, BTS is on its way to being a major player in the consulting industry. BTS is run by CEO Henrik Ekelund and CFO Stefan Brown. Jessica Parisi is CEO and President of BTS USA. There is also a board of shareholders led by four chairmen, most of whom are CEOs and leaders in other corporations. In addition, BTS Group is managed nine executive vice presidents, each leading a different practice area. BTS currently has 34 office locations spread over six continents with a focus on Western Europe and Asia Pacific. The career path at BTS follows the same basic pattern: Business Analyst, to Consultant, and then Senior Consultant. It takes approximately two years in a position to progress to the next level. After Senior Consultant, the next level is Manager. A select few end up proceeding to Director after 3-5 years as Manager. Undergraduates enter at the Business Analyst level while MBAs begin at the Consultant level. Exit opportunities are plentiful from a firm like BTS. Because of the wide range of premier clients you’ll be exposed to on the job, almost any HR or technology role in a Fortune 500 firm is an option for you. Another option is to cross hire into one of the client companies, especially in the financial sector. But you will have an in with companies like Exon and Nike or anything in between. A few of the client companies that you will be in close contact with are Google, Hewlett-Packard, AT&T, Salesforce.com, Accenture and Coca-Cola. As a consultant at BTS you will have a lot of interaction with high level leaders in client companies, so you will have a lot of opportunity to do some extracurricular networking which will be helpful for other ongoing projects and could make for some great exit opportunities later on in your career. For more networking tips check out our The Networking Bible to become even more confident what you have to offer! Intern pay and training are on-par compared to what you will find at many other consulting firms, and prior interns have found it a good foot in the door for landing permanent positions. You can expect to be paid between 19 and 31 dollars an hour as an intern. The culture at BTS Group is described by employees as fun, tight-knit, and quirky. Ekelund wants his employees to have a “great” time at work; he believes that it is counterproductive to work a job that you don’t enjoy. This core value has definitely permeated the entire firm culture. With 34 offices worldwide and less than 500 employees, each team is relatively small. This setup has enabled BTS Group to create a collegial and familial culture. This means a LOT of collaboration and not a lot of established hierarchy. This can be both positive and negative; miscommunication and less-defined roles are common in cultures with less rigid leadership structures. Get ready to be flexible when working for BTS Group; you might be traveling for as long as 5 weeks at a time working 70-80 hours a week, and other times you may be in the office all week. Another interesting aspect of working at BTS Group is that you will work on multiple projects at once instead of focusing exclusively on a single client for a sustained period of time. BTS Group is only one of a handful of firms that subscribe to a multi-project model. Not only does this keep work more interesting for current consultants, it also keeps them from burning out on one particular project. There is quite a bit of variety in the interview process for a consulting position at BTS; the process can take anywhere from two days to over three months. 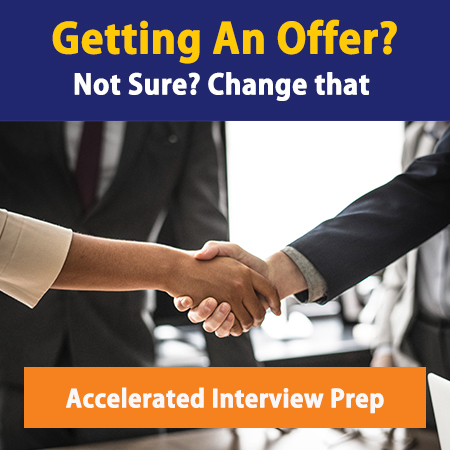 The AVERAGE interview process will take you four weeks and will consist of five interviews and a short quiz testing critical analysis (no calculator, so be sure to brush up on your Mental Math!). Round one is usually a 30 minute screening session, commonly conducted over Skype or phone. This is where you give your elevator pitch and begin to let the firm get to know you. This initial session is mostly behavioral, with a little bit of casework thrown in at the end. Round two is with a Manager, and is a standard case interview. Study your notes from round one to get an idea of what kind of cases you’ll see! The firm wants to see how well you can think on your feet, so expect the unexpected! As a note, some of the industries BTS Group works the most in are fossil fuels and biotech, so you may see cases dealing with these industries. Round three is a 45 minute PowerPoint presentation including a SWOT analysis and other metrics for a company of your choosing. This is very unique to BTS, most firms will assign you a specific case, instead of making you come up with everything on your own. This requires a lot of thought and research from the applicants and tests their abilities to self-start. This is going to be the biggest hurdle that stands between you and an offer. You will be given one week to prepare your presentation and research is going to be your best friend (if you’re not 100 percent comfortable with PowerPoint, we’ve got your back with our PowerPoint for Consulting course). You will have a bit of freedom in the actual presentation; BTS likes personality, but they demand complete competence. Be sure to check out SlideShare to see if you can get an idea of the firm’s presentation style. Rounds four and five are casual behavioral interviews with Senior Managers and Partners to feel out if you’ll be a good fit with the office culture. You can expect to see questions such as “Why consulting?”, “Why BTS Group?” and “What will you bring to the company?” If you’ve made it all they way to round four, the odds of receiving an offer are in your favor. Networking your way into a position at BTS Group is not very difficult if you’ve got the right education and experience. The firm is growing and currently looking to fill multiple positions. The firm hosts info sessions and career fairs at dozens of schools across the US. Access their events calendar to find out when and where you can network with someone from the firm and make sure you have your consulting-ready resume ready to leave with them. Secondly, set up your LinkedIn profile and search for BTS Group employees in your network. LinkedIn shows around 600 firm employees in the United States alone, so it’s possible you know someone who knows someone at BTS Group. For tips on planning your approach and delivering your elevator pitch, read The Networking Bible. If you would enjoy innovating for some of the leaders of industry and working with a strong team in a fun environment you’ll be a great fit at BTS Group. Read BTS Group’s diversity statement here.